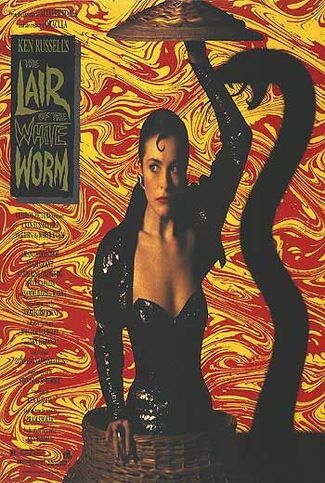 If I may make a small correction, The Lair of the White Worm is a short novel rather than a short story. In this age of ebooks, the distinction is important to make. Picking up a printed copy, it’s immediately obvious how long the story is. But, starting to read it in an ebook compilation, such as this http://www.amazon.co.uk/gp/product/B005SJR0HE/ref=oh_d__o06_details_o06__i02?ie=UTF8&psc=1 the reader should be pre-warned that the tosh won’t be finished in ten or twenty pages. Seemingly, the only DVD of The Lair of the White Worm is German. (But the German subtitles are removable, an Amazon reviewer is helpful enough to tell me.) The German title, as well as I can read it on screen, is Der Biss Der Schlangen Frau. My German isn’t good enough to translate that apart from the final word, which is “woman” not “worm”. Thanks, Pet! You’re quite right. I think the root of us thinking of it as a short may be that (quoth Wiki) “in 1925, it was republished in a highly abridged and rewritten form. Over a hundred pages were removed, the rewritten book having only twenty-eight chapters instead of the original forty. The final eleven chapters were cut down to only five, leading some critics to complain that the ending was abrupt and inconsistent”. So still not a short story, but interestingly, it got truncated into a half-the-original-size novella (maybe? Or just a shorter novel than before…?) at one point! Glad you enjoyed Daughters of Darkness! I think that the abridgment removed about a third of the book — cutting it from a 300-ish page novel to 200-ish. I could be more precise if I still owned my paperback copy, but that left my possession long ago. Daughters of Darkness is a very fine film, and her post on the subject shows Ms McQuade to be a person of exceptional perspicacity. 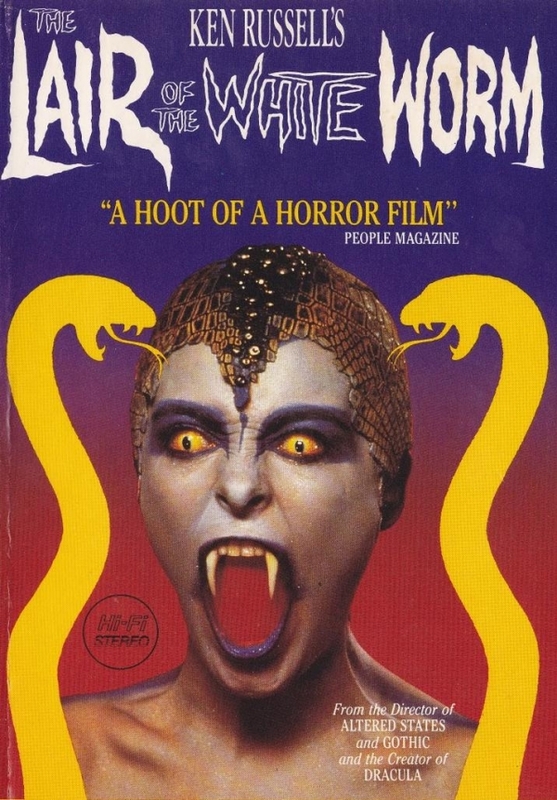 On that basis, I’ve ordered the German DVD of The Lair of the White Worm. This is not, as I previously stated, the only DVD — there is also a Region 1 version. But I’ve had very little luck with multi-region players, so I discounted that.